Orbital ATK, Inc. (NYSE:OA) , a global leader in aerospace and defense technologies, announced today that the company has signed a contract with the U.S. Army for additional production of the Precision Guidance Kit (PGK) for 155mm artillery. Once fielded to the warfighter, PGK will transform conventional 155mm artillery projectiles into a near precision weapon reliably reducing normal artillery dispersion of more than 200 meters to less than 30 meters. This transformation allows highly responsive and precise use of artillery on the modern battlefield. The $120 million (USD), contract calls for the production, lot acceptance testing and delivery of the guidance fuzes for fielding to U.S. and select allied armies. Deliveries are scheduled to begin in early 2016 without a production break from the Low Rate Initial Production which began in January 2015. Today’s battlefield is ever-changing in terms of terrain and engagement criteria. Reducing the risk of friendly and civilian casualties and collateral damage to infrastructure is critical. This combination of constraints often restricts ground commander’s options and sometimes limits use of artillery to engage critical targets. 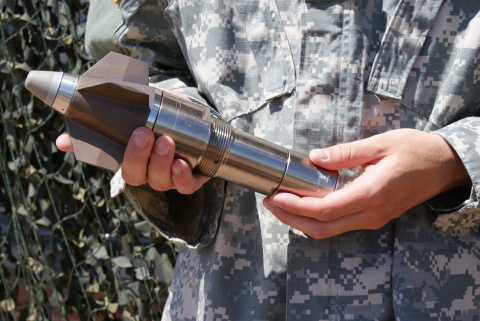 PGK’s ability to reliably reduce artillery dispersion provides the warfighter a level of precision necessary to greatly reduce the risk of collateral damage and put artillery back into the fight. Orbital ATK Defense Systems Group’s Armament Systems division in Plymouth, Minnesota is responsible for PGK program management, systems integration and production. Orbital ATK Defense Systems Group is an industry leader in providing innovative and affordable ammunition, precision and strike weapons, electronic warfare systems, and missile components across air-, sea-, and land-based systems.